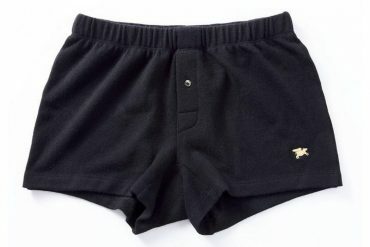 It is absolutely not too early to talk about Chinese New Year in November. If you must know next year’s edition celebrates the all-important Rooster. 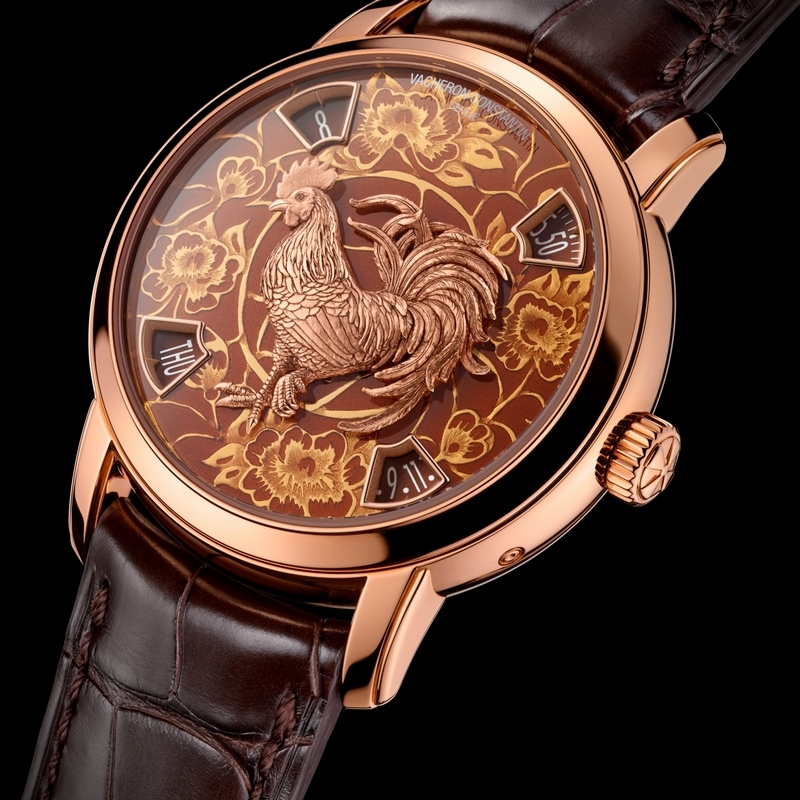 Swiss watchmaker Vacheron Constantin already unveiled their contribution to welcome the new year with a timepiece with a name as long as the Yellow River – Vacheron Constantin Métiers D’Art Legend Of The Chinese Zodiac Year Of The Rooster. 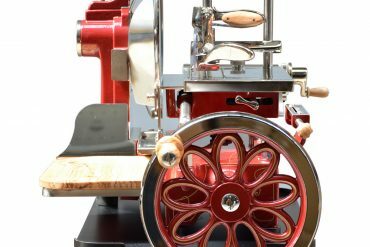 Get past this tongue twister, you come across a beautiful timepiece full of artwork. 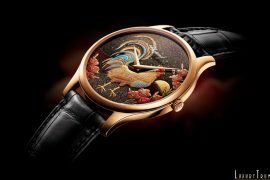 The Métiers D’Art collection timepieces are known for their intricate artwork, as part of that collection Rooster is destined to receive lots of – well, artwork. This timepiece features many of Vacheron’s complicated watchmaking techniques including gem-setting, enameling, engraving, painting and more. 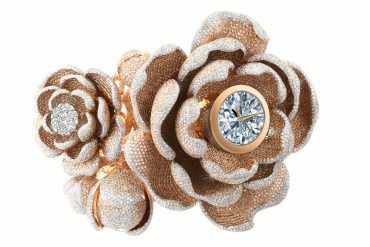 Just like other luxury brands, Vacheron Constantin put lots of time and effort to attract customers from the Chinese luxury market. 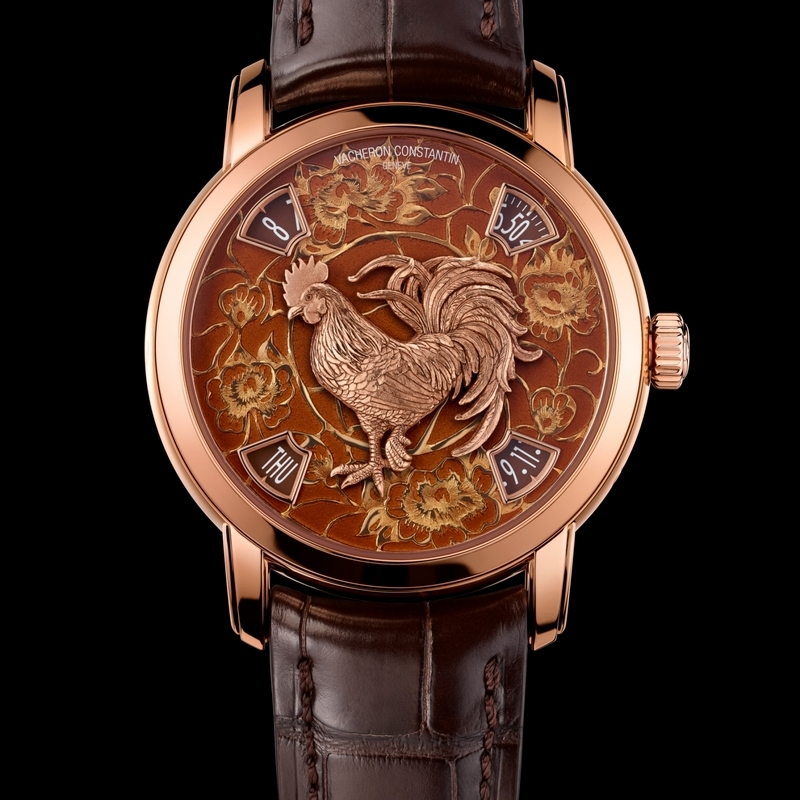 Past several years they have released watches to celebrate the Chinese Zodiac New Year. The Rooster follows the same design concept of watches from last two years – Goat and Monkey. New Rooster timepiece is offered in two versions – 40mm case in platinum or 18K 5N pink gold. The platinum comes with a blue dial and the pink gold with a red/brown dial. 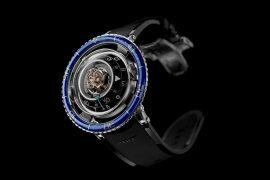 The watch is powered by the 237-component automatic 2460 G4 movement, it offers among other things 30-meters of water resistance, 4Hz frequency and a power reserve of 40 hours. The movement also carries the Hallmark of Geneva certification for high standard of finishing – a highlight for this watch is its large 22k gold rotor with guilloche decoration. As with most Vacheron Constantin watches, this too comes Grand Feu enameled, which helps slow down change in color and maintain it over a long period of time. 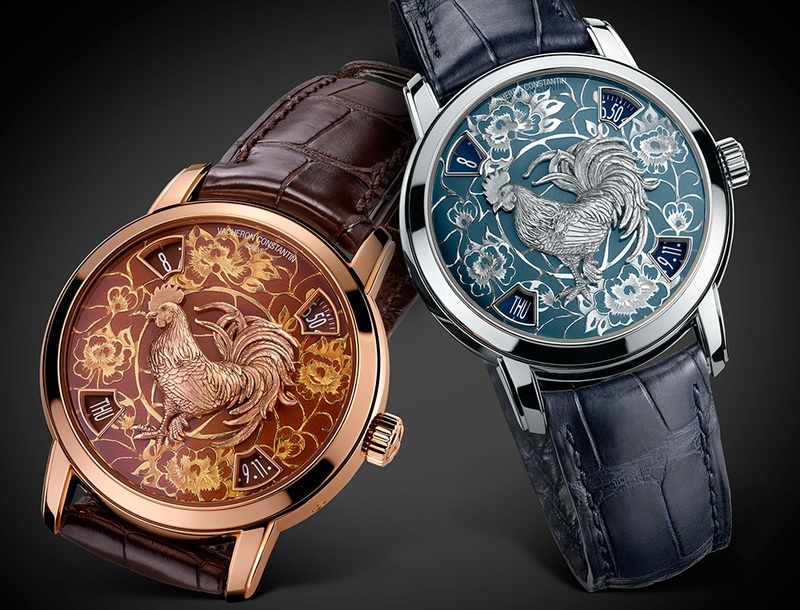 The engraved rooster sits in the middle of the dial is made out of either platinum or gold, matching the case material. 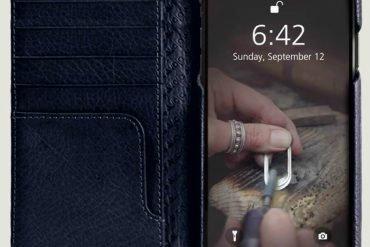 The watch comes fitted with a beautiful alligator Mississippiensis made strap. 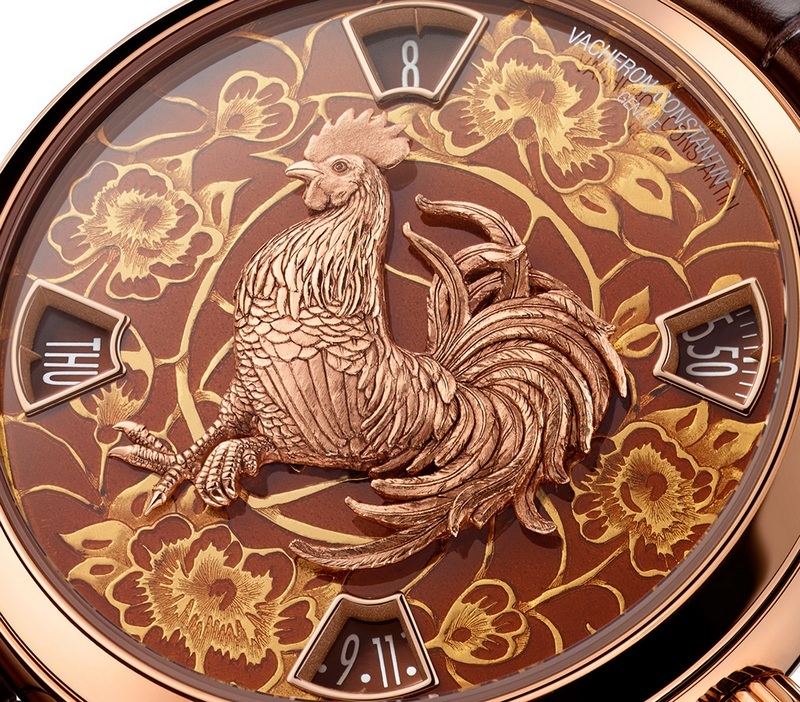 The Vacheron Constantin Métiers d’Art the Legend of the Chinese Zodiac Year of the Rooster is a limited edition in every sense. 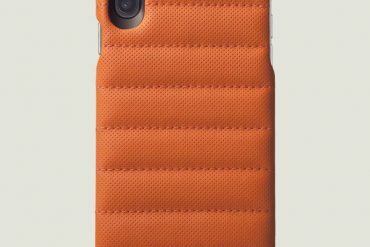 Only 12 pieces from each model are produced. 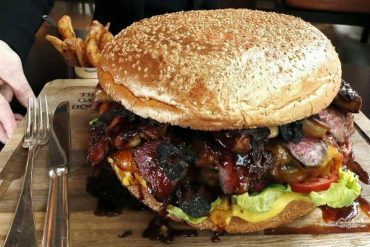 This is quite pricey – $100,500. 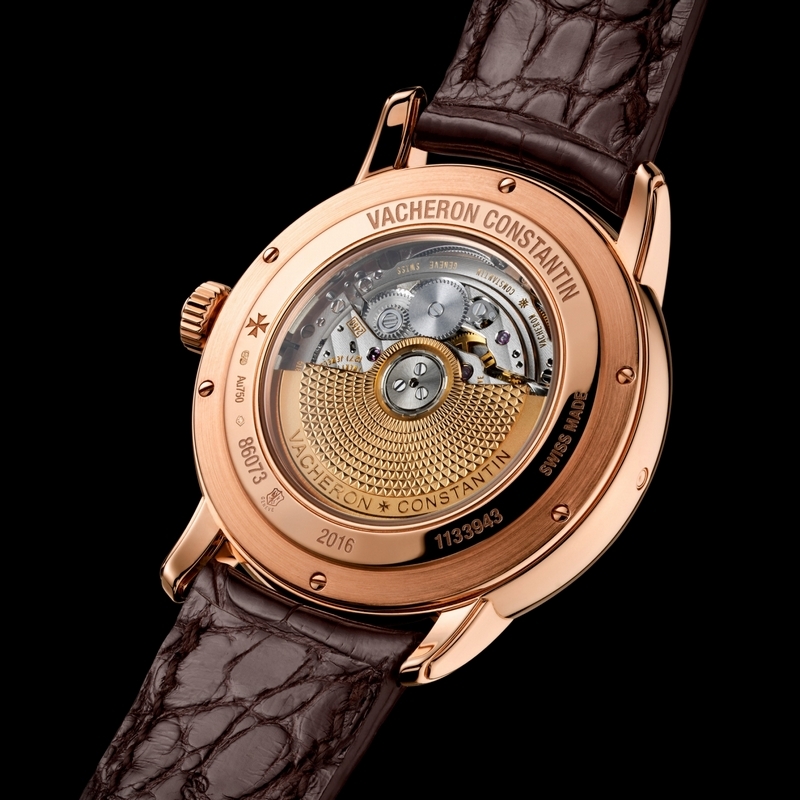 Visit Vacheron Constantin for more information.